Everyone knows how to do their laundry one way or another. But if you are not doing it right, you could damage your clothes and end up wasting a whole lot of time not getting anything done. 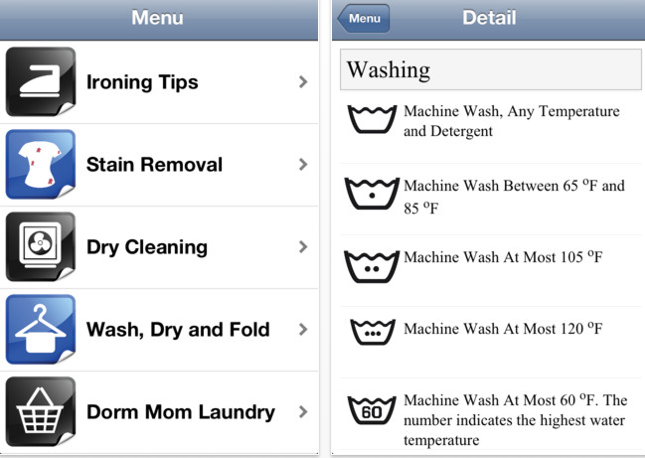 Laundry for iPad is a cool reference app that provides you with useful tips on how to do your laundry, handle stains, drying cleaning, ironing, and other related tasks. Laundry covers some of the basic tips you need to be familiar with to do your laundry more effectively. 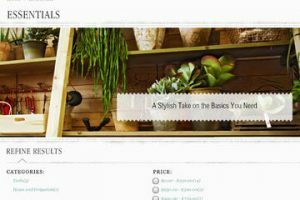 It provides you with tips on ironing, stain removal, dry cleaning, and folding. Laundry may be a decent tool for beginners but it does have useful information even if you have been doing this like a pro for a while. The user interface is fairly simple. The app does not take a whole lot of space on your tablet. 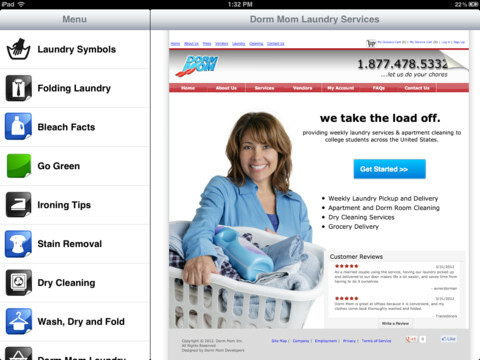 Laundry for iPad is based on a very decent idea and has potential. We would love to see more tips (including how-to videos) added to it though.